I clearly remember the emotions felt the first time I read the Diary of Anne Frank. We're talking 25+ years ago. I was beyond touched by the story and ended up re-reading it at least 10 times in my adolescent years. Anne's birthday was June 12th, so her birthday was 5 days prior to mine. Without a doubt, she holds all the Gemini attributes. Her love of life, dramatic tendencies, split personality and vivid imagination - I identified myself to her for as long as I can remember. When I learned my Husband Gabe and I would be visiting Amsterdam, the first thing I did was purchase tickets to the Anne Frank Museum. It was the number one thing I wanted to do on this trip. Leading up to the trip, I re-read the diary, which has been revised since my former 10 readings - she's way more brutally honest about her family (Mommy issues) and an interesting take on relationships. 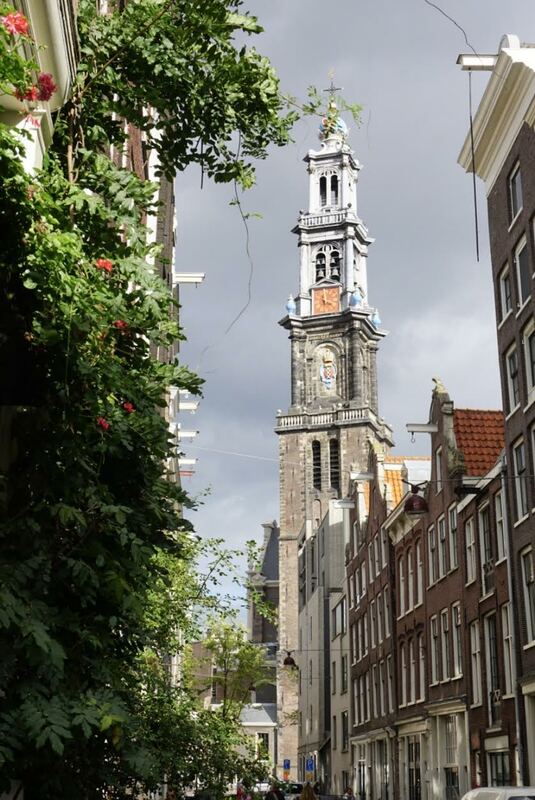 Prior to entering the Museum/house, I noticed the Westerkerk church bell tower, which is referenced quite a bit in the beginning of the diary. The Nazi's took the bells out of the house to create weapons. I will start this off by saying visiting this house was one of the most emotional experiences I have ever gone through. I teared up multiple times and truly didn't anticipate this reaction. The layout of this museum gives you the personal tour of what happened during this awful time. No photos are allowed inside the house. 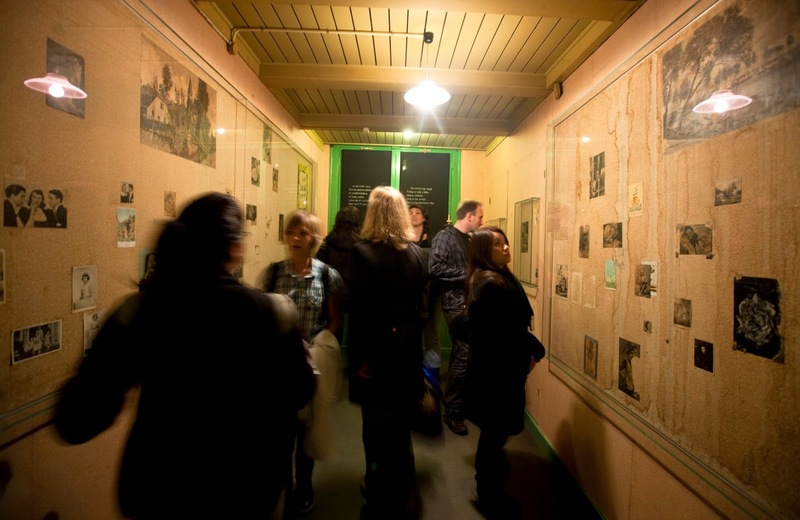 I obtained press photos from Anne Frank Museum. If you plan on visiting the house, I strongly suggest getting tickets in advance. 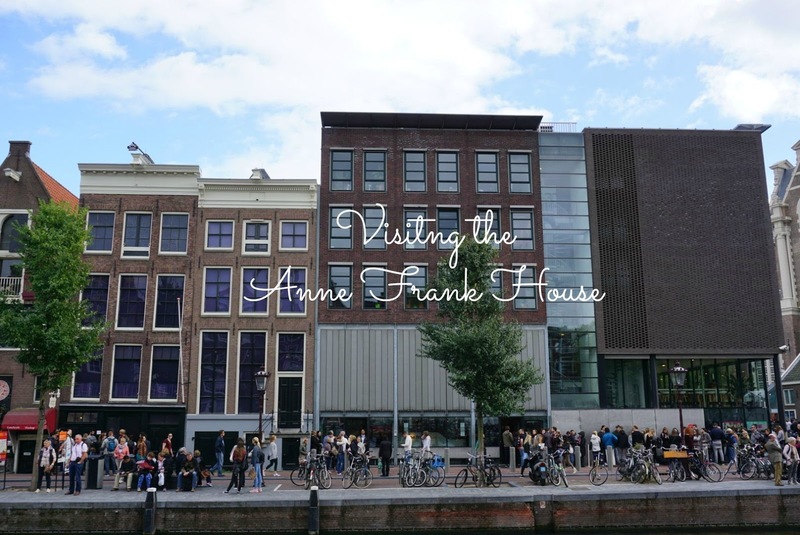 You can get tickets to the Anne Frank House through the Museum's website but they are limited and sell out quickly. You will receive a specific time slot which allows access in a 15 minute window between 9am-3:30pm. General admission begins at 3:30pm until close. The lines were insane so do what you can to buy your tickets in advance. We walked into the Museum and found ourselves among personal belongings including family photos. We arrived at the secret book case which hid the annex, and it was surreal knowing we were about to walk through the very book case that hid the Franks' and Van Pels for two years. 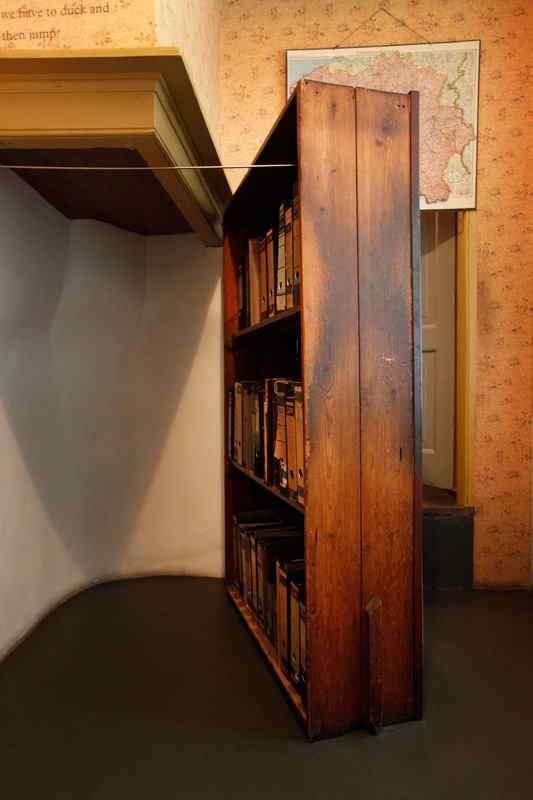 Once we made the duck into the stairs (according to Anne's diary, multiple people hit their head through the two years going through the secret passage and I can see why), we found ourselves in the Frank Living Room and Bedroom. Anne's parents, Otto and Edith shared a room with Anne's older sister Margot. Originally, Anne and Margot shared a room but After the Franks went into hiding, they took an additional person into the Annex, Dentist Fritz Pfeffer who shared a room with Anne. The next room we visited was Anne Franks room, which she shared with Fritz Pfeffer. Much of her beloved movie posters still adorn the walls and the museum has done a wonderful job preserving them. This is where I got super emotional. Knowing this very room I was standing in was the same place Anne spent so much time writing in her diary "Kitty". The room which held two people was smaller than my closet. The black outs on the window were still in place. I had to exit this room fairly quickly as my emotions were all over the place. Next up was the bathroom, shared by the 8 people living in the annex. The term bathroom is to be used very lightly here there is only a toilet and a sink. No shower, no bath, no hot water and the toilet cannot be flushed during the day. We were behind another American couple, and the lady was arguing with her husband, saying this wasn't the bathroom, there was no shower. If you hadn't read the book in a while, this is one fact that you may not recall. Just seeing how they lived in hiding was harder to imagine seeing in person than reading on paper. The Van Pels room was the largest in the house, however it was used as the communal family room and kitchen / dining room. Meals were ate here. Potatoes were peeled here. Games, family time and a lot of arguments took place in this very room. Although I re-read the book, I wasn't aware that the Van Pels room was actually in the kitchen / common area. No privacy! The virtual 3D tour I've referenced above is on the Museum's website which will allow you to see the entire annex, room by room along with stories. After seeing the house in person, I can tell you this is fantastic and if you've ever wanted to see what the Frank House was like but unable to see it in person, here is a great way to tour the house (click here or on the map). Once you exit the annex, you go into the Diary room where they have preserved Anne's many writings and diary's. It is hard to explain in words what it was like seeing her actual writing - the actual diary's. Visiting Anne Frank Museum was a highlight of our trip. It was emotional and educational. Also walking though the Annex was a moment I will never forget. Knowing that after two years in hiding, all 8 were taken to concentration camps and only Otto Frank survived. Seeing this house in real life was a changing experience. 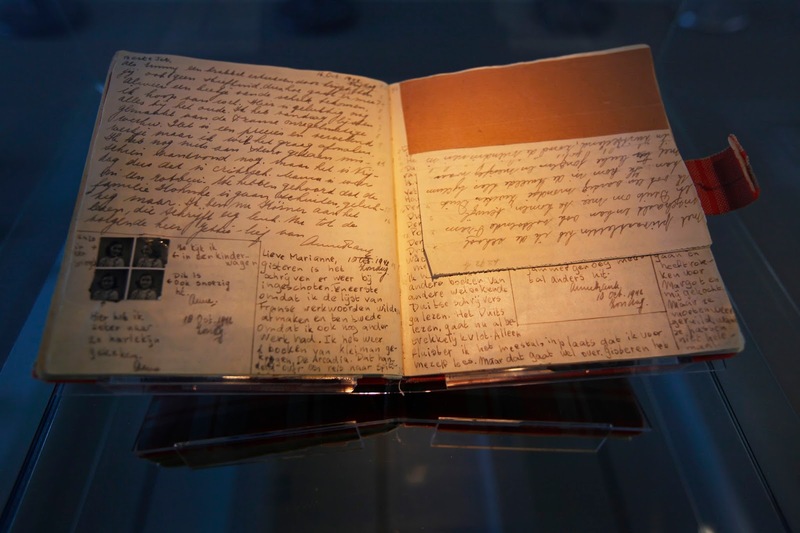 If you find yourself in Amsterdam, I strongly encourage a trip to the Anne Frank Museum. Just be sure to get your tickets ahead of time. When we left our 3:00 time slot, we found ourselves on the street at 3:45, after they allowed the general public in the house. The line wrapped around multiple buildings. No need for that when you can show up at a specified time and walk right in at no additional charge.